Green River repairs crawl spaces. Typical crawl spaces are dark, dusty, damp, debris-laden, moldy-smelling spaces that are home to spiders, crickets, termites, ants, other insects, and rodents. They also contain vital structural elements which support your home’s walls and floors, HVAC which supplies your home’s breathing air, and electrical and plumbing. Water intrusion in your crawl space can lead to serious problems such as structural damage and mold. 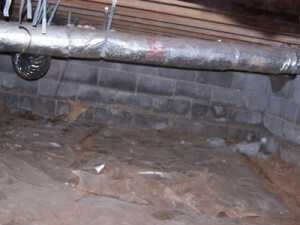 If not addressed, these crawl space problems will lead to problems in the rest of your home, because they are connected. Have you looked at your crawl space lately? If you’d just as soon visit the dentist as go in your crawl space, or if crawl space problems are extending to other parts of your home, we can help! We offer a wide range of crawl space repair services for your home or business. Here is an example of what we can do for you. We can transform your crawl space into a clean, dry, healthy area. We correct structural issues. We replace mold-laden floor insulation with mold-resistant wall or floor insulation. 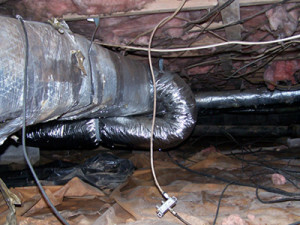 We seal HVAC ductwork to make sure you are breathing clean air and not wasting energy. 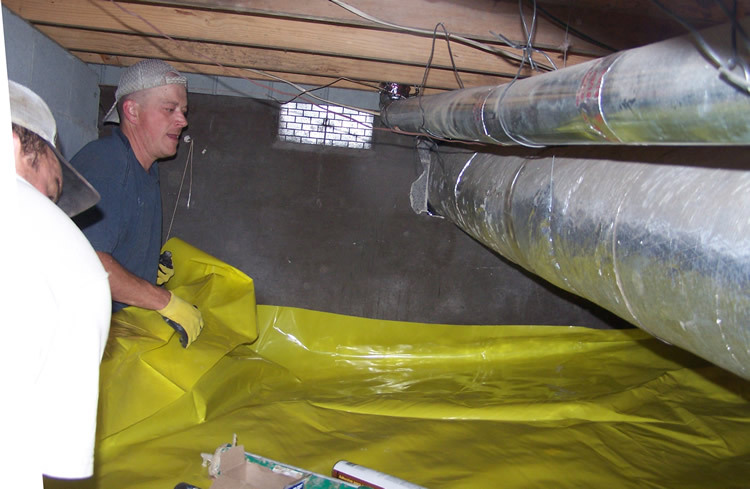 We replace failed or missing vapor barrier to ensure moisture stays out. 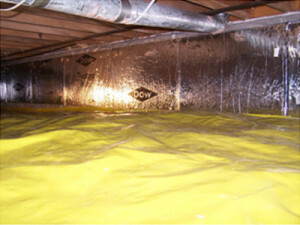 Our Gold Level vapor barrier, shown here, is 100% guaranteed not to fail! Let the experts at Green River make your home a healthier place to be! Call or email us today for a free crawl space repair estimate. (865) 919-7464.